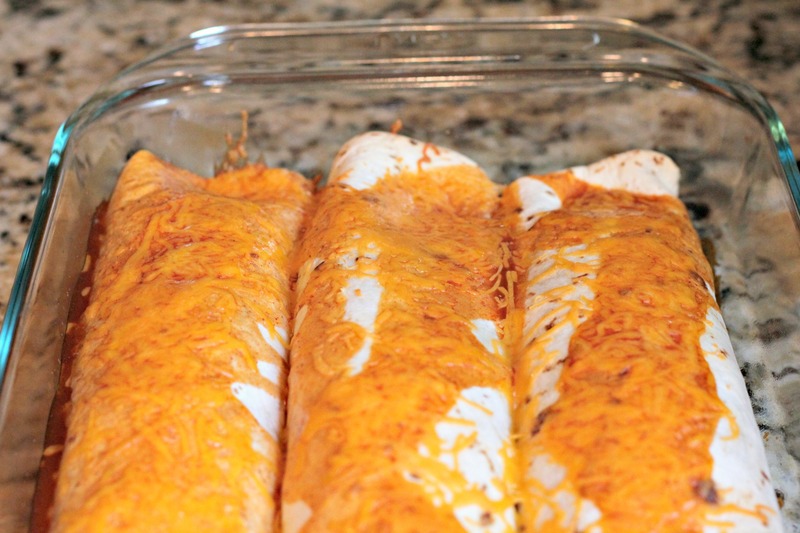 After today, dear readers, you will never again have to look for an enchilada recipe. Because this is the best one there is. Seriously. Since there are so many wonderful recipes out there to try, I rarely make the same dish more than once. But this “so good enchilada” is one that I’ve made about a dozen times. It’s one of my husband’s absolute favorite meals that he requests all the time, and I love it too! The next time you’re looking for a good Mexican dish, this is the way to go. And then I can guarantee that you’ll make it again and again. And, as a bonus, this is a low-fat recipe. I unfortunately don’t have the nutrition facts for you, but it is low fat. Preheat oven to 350 F. Combine soup, sour cream, and chicken in a medium bowl. Spread beans evenly on each tortilla. Spoon about 1/2 cup of the sour cream mixture down the center of each tortilla. 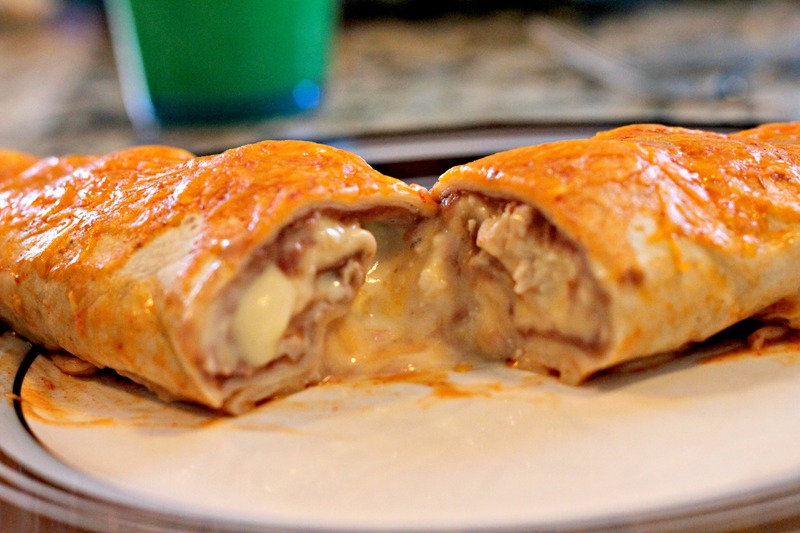 Top with 1 Tbsp of cheese. Roll up and place seam side down in a greased baking dish. Pour enchilada sauce on top. Sprinkle with remaining cheese. This looks great, and easy! If you do make them, let me know what you think! I hope you like them as much as we do! These look so DELISH! :) great blog. Thank you! And thanks for visiting! These look so good! I make enchiladas all the time and black beans are also really good to use instead of refried beans.